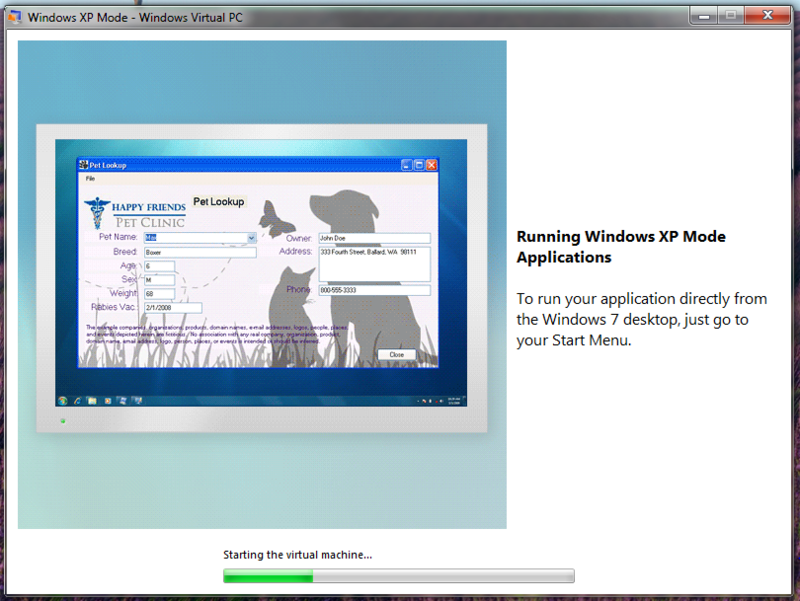 Microsoft Windows XP mode running the Happy Friends Pet Clinit application. P.S. How can this be the ONLY hit on google for “happy friends pet clinic”? Seriously? This entry was posted in Comedy, Software by Wohali. Bookmark the permalink.